With the goal of creating a festival built on pure integrity that would benefit not only festival goers, but the entire surrounding community, we teamed up with former World Cup soccer star Jay DeMerit and his wife, ski cross Olympic gold medalist, Ashleigh McIvor, to bring you the Rise & Shine FamJam Fundraiser; a festival with purpose! Our mission is to build a community deeply rooted in the practice of cultivating authentic and meaningful connections and the practice of altruistic giving. Through music and dance we aspire to create enriched sport environments for young athletes by donating 100% of the festival proceeds towards sending kids to Rise & Shine Foundation’s Captain Camps. Founded by Jay & Ashleigh, these camps empower athletes to pursue their passions and develop a well-rounded skill-set, with curriculum specifically built around creating a balance of elite sport training and all-encompassing life skills. Unwavering self-belief, respect, work ethic, positivity, effective communication and the importance of establishing a multifaceted skill-set - both on and off the field - are just a few of the pillars that this camp is built on. In alignment with the Captain Camp’s ethos, the FamJam Fundraiser incorporates fun and shenanigans beyond the decorated line-up of talented artists. A fully immersive environment includes all sorts of interactive activities to keep festival goers engaged, connected and above all, having an awesome time! 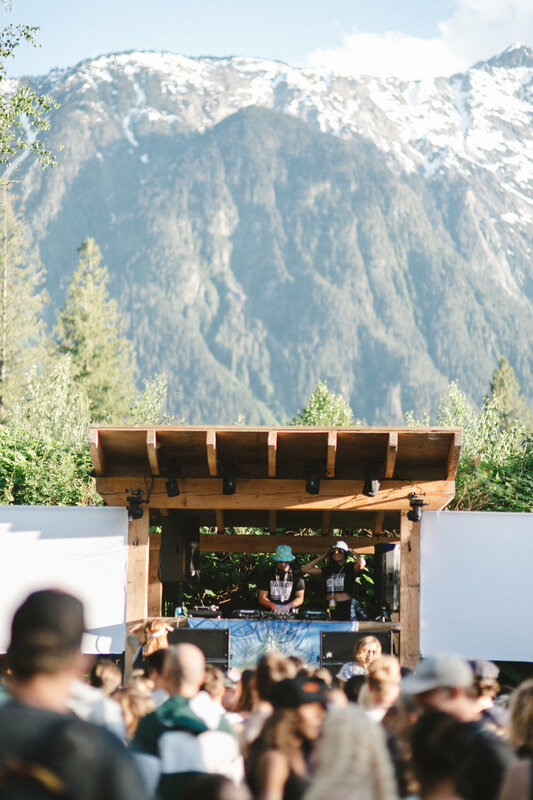 One stage nestled below the majestic Mount Currie in Pemberton BC, boasts PK sound, live visuals and performances and some of the best homegrown BC and international talent. Join us for two nights of progressive and energetic party vibes, while giving back to the community- party with purpose!